Jair Marrufo has been assigned to the MLS Cup 2015, promising to bring his all to the season finale. 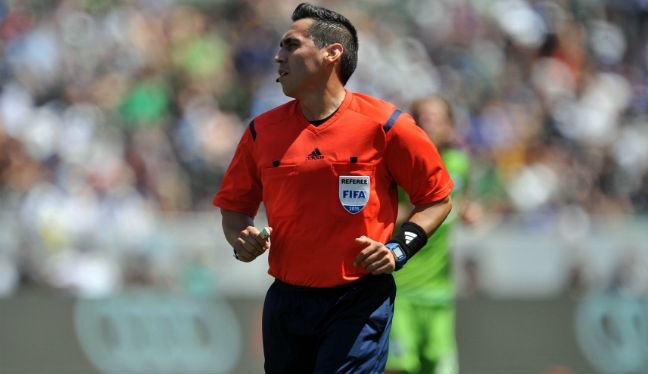 The MLS Cup will see Columbus Crew and Portland Timbers go head-to-head for the honor of being crowned champions, and Marrufo – along with his officiating crew – is more than ready. “The intensity will be high, the atmosphere will be massive. Both teams will bring it all and so will we,” said the 38-year-old, who will be assisted by ARs Corey Parker and Peter Manikowski, fourth official Chris Penso and fifth official James Conlee. Marrufo continued: “I have a great crew beside me. I have worked with them several times before – they know what to expect from me and I know what to expect from them. “As a unit we will go in knowing about the teams’ tactics, players’ behavior, coaches’ behavior, and preparing for every scenario that could come up so we wont be surprised during the match. The center official has taken charge of 19 regular season games, and was among the three-man shortlist for the MLS Referee of the Year. Marrufo was pleased to be recognized for his performances, and the assignment to Sunday’s showpiece tops off a fine year. “It was an honor to be nominated for the Referee of the Year award. It tells me that other people are noticing what you’re doing throughout the year. “We know if we are doing well or not by the amount of mistakes we are shown in our training camps. I always feel proud when PRO doesn’t show any mistakes from my games. “That’s the beauty about our camps, we cannot hide anymore from our decisions. We will watch them, talk about them, and learn from them. “I had only done one Playoff game and I didn’t know if that was going to be my last game of the year, so I was relieved and excited when I heard the news.